This guest post comes from Natalie Saturnia and Molly Patrick, undergraduates in English Literature, who took part in a research placement this summer as part of the Cardiff Undergraduate Research Opportunities Programme (CUROP). Natalie and Molly worked as research assistants on Dr Melanie Bigold’s project, ‘Her books: Women’s Libraries and Book Ownership, 1660-1820’. Dr Bigold’s project aims to create the first comprehensive database collection of women’s libraries in the long eighteenth century. My post, funded by the Cardiff Undergraduate Research Opportunities Programme (CUROP), was focused on finding and organising the preliminary research databases. My daily work included transcribing and cataloguing the booklists identified by Dr Bigold, and trying to identify specific editions of texts using databases such as the English Short Title Catalogue. While spending time with booklists of influential eighteenth-century women such as Lady Mary Wortley Montagu, Elizabeth Vesey, and Elizabeth Greenly, I noticed a prominent lack of fiction texts across their catalogues. Before embarking on my research placement, I had assumed that most of the texts literary women owned would include fiction and the classics. 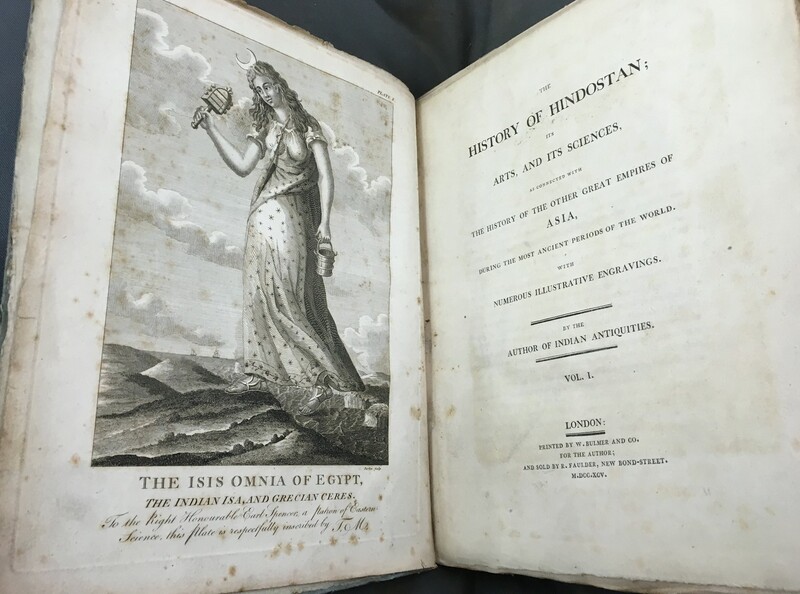 While their lists still included a number of novels, particularly in Lady Mary Wortley Montagu’s collection, their catalogues also contained a considerable quantity of travel texts. Because this was a surprise to me, it piqued my interest and I chose to do further independent research to figure out the reasoning for their travel collections. Detail from Thomas Maurice, The History of Hindostan (1795). work on British women travellers has focused on their ability to transgress the confines of “home” in social as well as spatial terms. The travels and writings of individual women suggest that they were empowered to travel and transgress in the context of imperialism while away from the feminized domesticity of living at home. While this specific quote only refers to female travellers who documented their own journeys, perhaps the same can be assumed for women who read and owned travel writing. 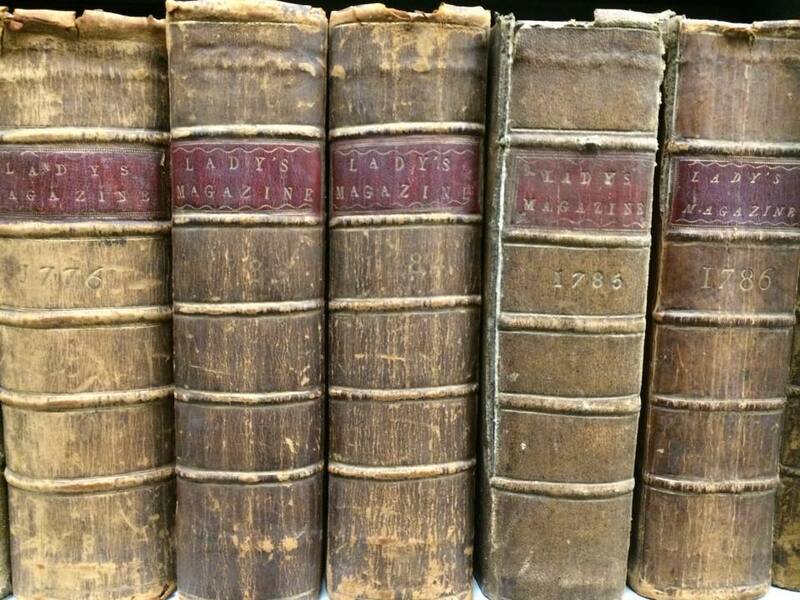 In the case of Lady Mary Montagu, she did travel, yet she also collected travel books. This, along with her own documentation of travel in her Turkish Embassy Letters, proves that she valued the experience and knowledge gained while traveling and felt she was enriched because of it. One of her travel books Le Gentil Nouveaux Voyage au Tour du Monde (1731) translates to the ‘the nice new trip around the world’. This text possibly reflects a desire in Montagu to learn and study parts of the world she had not travelled to, which again demonstrates the value she placed on travel. In contrast to the other women I researched, Elizabeth Greenly’s book list contained a large collection of Welsh travel books, such as Wales illustrated: in a series of views by Henry Gastineau and Wanderings and excursions in North Wales by Thomas Roscoe. Born in Herefordshire, Greenly later lived in Wales and maintained a lifelong interest in all things Welsh. Before she became less active later in life due to a stroke and rheumatoid arthritis, she used to ride her horse between Herefordshire, Monmouthshire, Glamorganshire, and Breconshire. Her collection of Welsh travel books exemplifies an early sense of Celtic pride which is further evidenced by her ‘ardent support of Welsh causes of the day, including Iolo Morganwg (Edward Williams 1747-1826).’ Greenly’s detailed knowledge of the Welsh border counties clearly enhanced her desire for literature on the surrounding area. It may also have been the case that, as a local gentlewoman, she was actively supporting Wales-related books through her purchases. Ultimately, I believe that these women, whether or not they were privileged enough to travel themselves, valued the insight that travel books provided. Travel books about places foreign to them allowed them a glimpse into parts of the world they were unable to experience first-hand. As for travel books of familiar places, it often represented and reinforced a sense of identity. Indeed, as an expat myself, I am acutely aware of how integral geographical location is in relation to identity. More importantly, I think travel, whether across short or long distances, instilled in these women as sense of pride in their own intrepid spirit. Their library collections speak to that spirit of travel, adventure, and self-creation. While ‘Her books: Women’s Libraries and Book Ownership, 1660-1820’ is still a work in progress, the new perspectives I gained and conversations I started during my month of research on these women’s catalogues has ignited my own research ambitions. Most importantly, though, the process has highlighted the many new insights that a comprehensive catalogue of female book owners during the long eighteenth century will provide. Alison Blunt, ‘The Flight from Lucknow: British women travelling and writing home, 1857-8’, Writes of Passage ed. James Duncan and Derek Gregory (London: Routledge, 1999), p. 94. 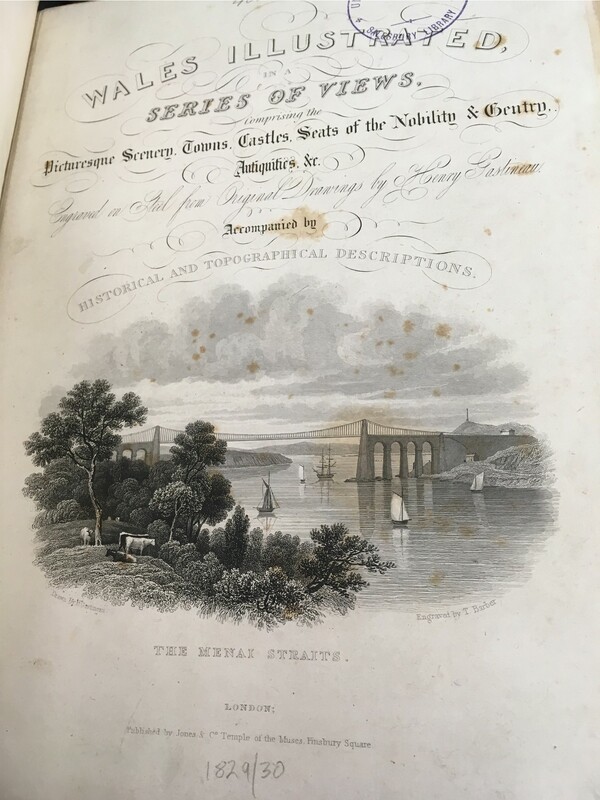 Henry G. Gastineau, Wales illustrated: in a series of views, comprising the picturesque scenery, towns, castles, seats of the nobility & gentry, antiquities, &c (1829?-1830) and Thomas Roscoe, Wanderings and Excursions in North Wales (1836). Dominic Winter, Printed Books & Maps (2016), p. 83. 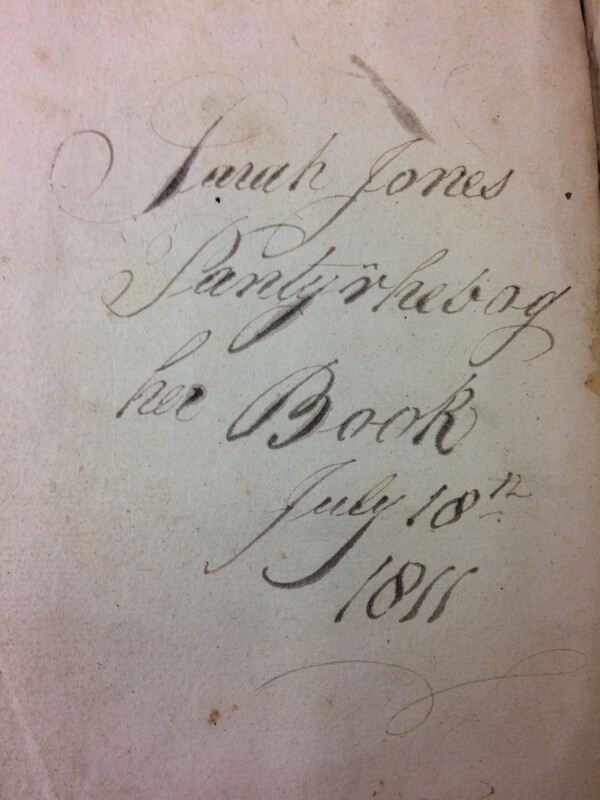 Sarah Jones’ inscription in The Christian Life , by John Scott. The eighteenth century was an important period in the history of women’s literary participation. The growth of personal libraries coincided with this increased engagement and book collections reflect, as Mark Towsey argues, the intellectual and cultural aspirations and values of their owners. Elizabeth (Smithson) Seymour Percy, the first duchess of Northumberland, Mrs. Katherine Bridgeman and Elizabeth Vesey all had extensive personal libraries which featured many advice-giving divinity books. By examining what these texts teach women, it is possible to see how femininity in the eighteenth century was constructed and justified using the authority of God. Elizabeth Seymour’s library catalogue includes a sub-section dedicated to Divinity texts, many of which function as pedagogy. Featured in Seymour’s collection is The Whole Duty of Man by Richard Allestree (first published in 1658). In the chapter entitled ‘Wives Duty’, women are given advice on how to conduct themselves in marriage. 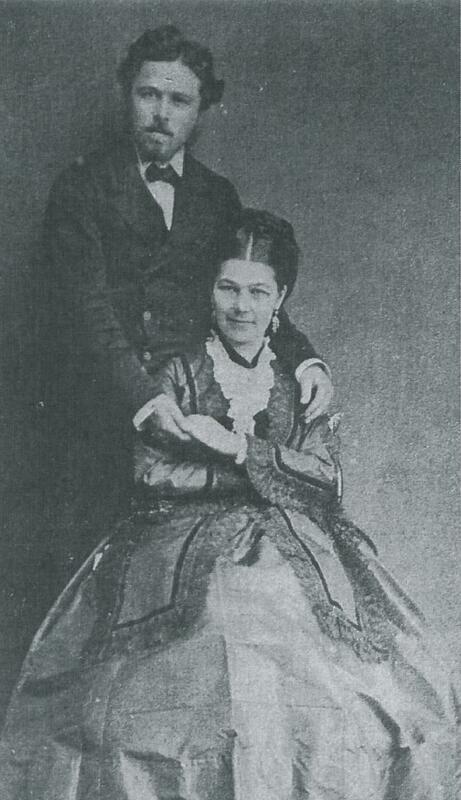 They are told that God will ‘condemn the peevish stubbornness of many Wives who resist the lawful commands of their Husbands, only because they are impatient of this duty of subjection, which God himself requires of them.’ This shows that religious, devotional works were often used to establish women’s subordinate position, using God as an authority to these teachings. The book also gives specific instructions regarding how the wife should act if asked to do something ‘very inconvenient and imprudent’ by her husband: she should ‘mildly […] persuade him to retract that command’, not using ‘sharp language’ and she should never steadfastly ‘refuse to obey’. Clearly restricting the wife to a passive, subordinate role, this passage confirms the unequal power dynamics of seventeenth-century marriage. In addition, The Whole Duty of Man blames women for men’s sinful behaviour: ‘how many men are there,’ Allestree asks, ‘that to avoid the noise of a forward wife, have fallen to company-keeping, and by that to drunkenness, poverty and a multitude of mischiefs’. Here, a stereotype about the nagging wife are held against women in general. Richard Allestree’s The Ladies Calling (1673). The copy in Special Collections belonged to an seventeenth-century woman, Elizabeth Scudamore. Richard Allestree’s sequel, The Ladies Calling (1673) and The Causes and Decay of Christian Piety (1667) also appear in the divinity section of Seymour’s personal library collection. The Ladies Calling questions the origin of gender inequality, but nonetheless reproduces a similar message advocating a subordinated, passive femininity. Allestree avers that ‘in respects of their intellects [women] are below men’; however, ‘Divinity owns no distinction of genders’ as ‘in the sublimist part of humanity, they are their equals.’ The Causes and Decay of Christian Piety, on the other hand, inscribes the argument that religiously devoted women pose a threat to established gendered roles. Allestree contends that ‘when women neglect that which St. Paul assigns them as their proper business, the guiding of the house, their Zeal is at once the product and excuse of their idleness’. Indeed, Allestree implies that women only seek religious vocations in order to avoid their natural place in the domestic sphere. In this sense, divinity texts from the eighteenth century not only advise women to be passive and subordinate, but also caution them against turning to a religious life. Katherine Bridgeman’s collection evidences a similar interest in divinity texts. In her edition of The Rules and Exercises of Holy Living (1651), Jeremy Taylor advises that women should ‘adorn themselves in modest apparel with Shamefacedness and Sobriety, not with broidered hair, or gold, or pearl, or costly array’. This narrative of passive femininity permeates a multitude of divinity texts in Bridgeman’s collection, such as in Robert Nelson’s The practice of True Devotion (1721). Nelson defines women’s ideal religious expression as ‘their chastity’ and ‘modesty’, which are both passive acts signifying a withholding as opposed to active expression. Both Bridgeman and Seymour’s collections feature divinity books which promote a repressed, subordinate version of femininity and it could be argued that their libraries reflect a wider view of women and their place in eighteenth-century contemporary society. 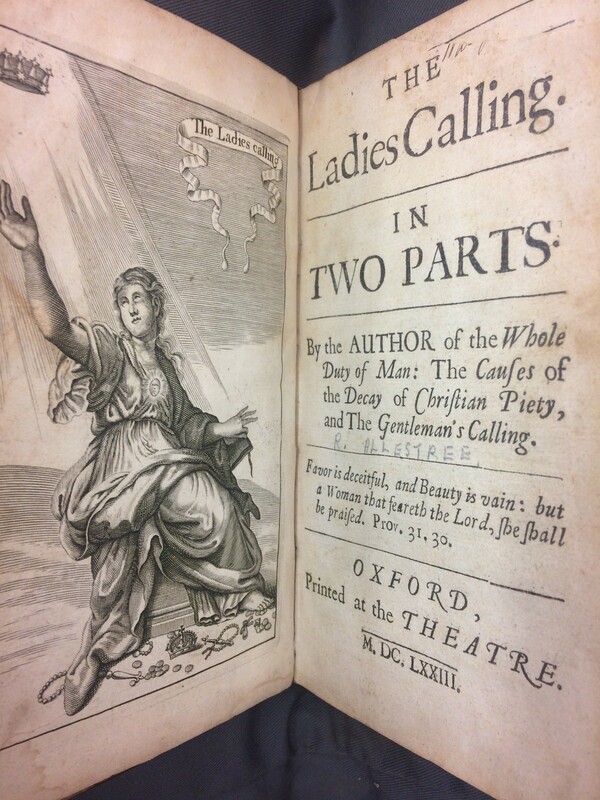 The content of the books featured in Elizabeth Vesey’s library, however, offer an alternative view of women, femininity and their place within religion. One such work that exemplifies this difference is Robert Barclay’s Apology for the True Christian Divinity: being a Vindication of the people called Quakers (first published in 1678). The text openly disputes women’s subjugation within religion and the established church. Barclay contests the idea, apparently deriving from ‘the church’, that ‘women ought to learn […] and live in silence, not usurping authority over man’. Barclay notes that, in St. Paul’s Epistle to the Corinthians, the apostle writes rules concerning ‘how Women should behave themselves in their publick preaching and praying’. This, he argues, is evidence that early religious figures did not refute women’s right to actively express their religion. Deborah Heller points out that Elizabeth Vesey was accumulating her library at the same time as significant changes were happening in literary, social and cultural environments. Around the mid seventeenth-century, ‘owing to the proliferation of novels and conduct literature, there was a rapid transformation, and a powerful new identification of women with subjectivity’. The presence of Robert Barclay’s book in Vesey’s library seems to confirm women’s alignment with greater religious subjectivity. In conclusion, the personal library collections of Elizabeth Seymour and Katherine Bridgeman include a multitude of pedagogical divinity books. These texts encourage women to be passive, subordinate to men and to avoid public religious activity. Elizabeth Vesey’s book collection, however, seems to inject a different narrative. Taking Robert Barclay’s Apology for the True Christian Divinity as an example, it is possible to see how Vesey’s collection, unlike the books found in Seymour’s and Bridgeman’s libraries, focus on women’s religious and personal empowerment. Vesey’s collection demonstrates a possibility of different cultural and social aspirations, an alternative way of thinking about women’s role in contemporary society. Deborah Heller, ‘Subjectivity Unbound: Elizabeth Vesey as the Sylph in Bluestocking Correspondence’, Huntington Library Quarterly, 65.1 (2002) pp. 215-234. P. 218. Mark Towsey, ‘‘I can’t resist sending you the book’: Private Libraries, Elite Women, and Shared Reading Practices in Georgian Britain’, Library and Information History, 29.3 (2013), 210-222 (p. 210). This guest post is from recent English Literature graduate Anna Sharrard. 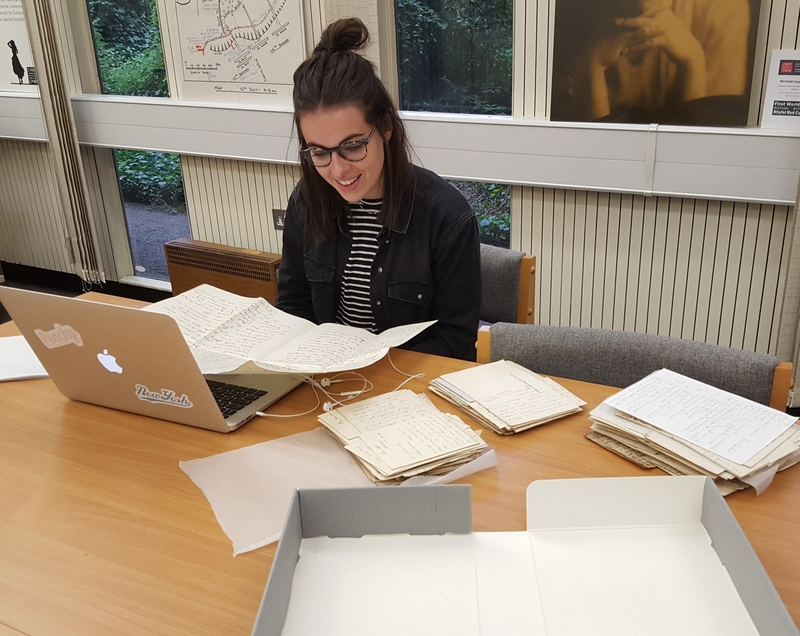 Anna took part in modules closely aligned with Special Collections throughout her final degree year, and is now volunteering with us over the summer, creating our first Edward Thomas online resource. Practising linocut with the Illustrated Book class. Despite the words ‘group presentation’ usually striking fear into the hearts of most students, the filmed assessment was what had initially attracted me to the module. To have a practical element to an undergraduate English Literature module is unusual, and it stood out as a unique opportunity, allowing students to develop and showcase a different set of skills to future employers. 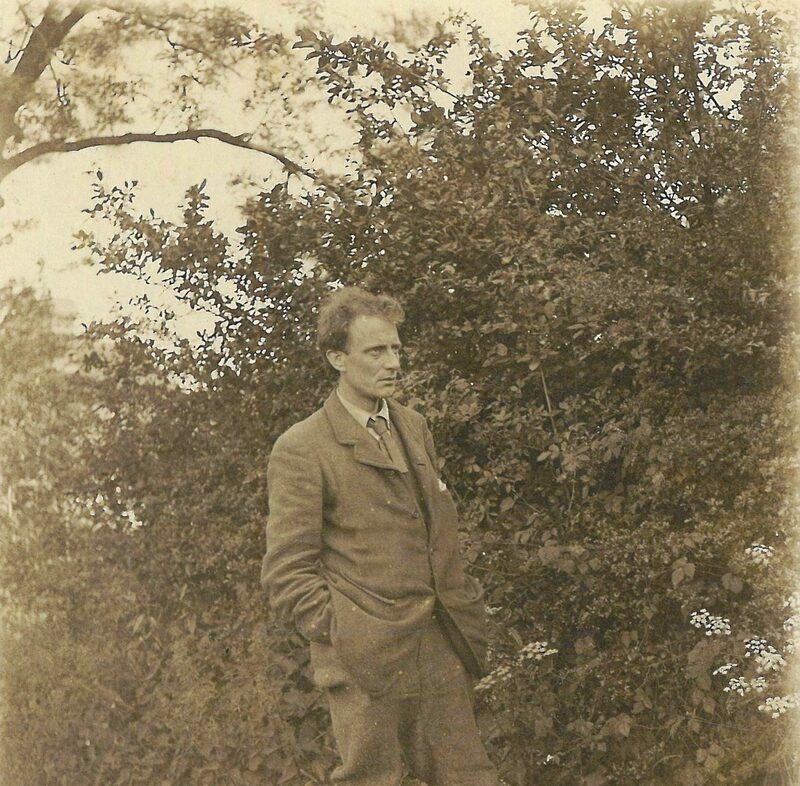 Special Collections’ Edward Thomas archive is expansive, holding the world’s largest collection of his letters, diaries, notebooks, poems, photographs, and personal belongings. Alison Harvey, archivist at Special Collections, selected a wide array of material from the archive for us to explore, and in our groups we assessed which items would form the focal point of our presentations. Being tasked with working with archival material was certainly a new experience, and it proved very interesting but also challenging. Almost all the texts I had encountered during my three years studying English Literature had been published documents, written in standardised print with titles, page numbers, and footnotes. It was therefore challenging studying the manuscript form of Edward Thomas’ poems, diary entries, and correspondence, because the layout of the text on the page did not always follow a chronological pattern. Amendments and notes could have been added at different stages of the document’s history, and we felt like detectives trying to figure out the chronology of the documents. At the beginning we also struggled with some of the seemingly indecipherable handwriting, but both Carrie and Alison were extremely patient with us, and with practice, it became easier to interpret the handwriting and read the material. 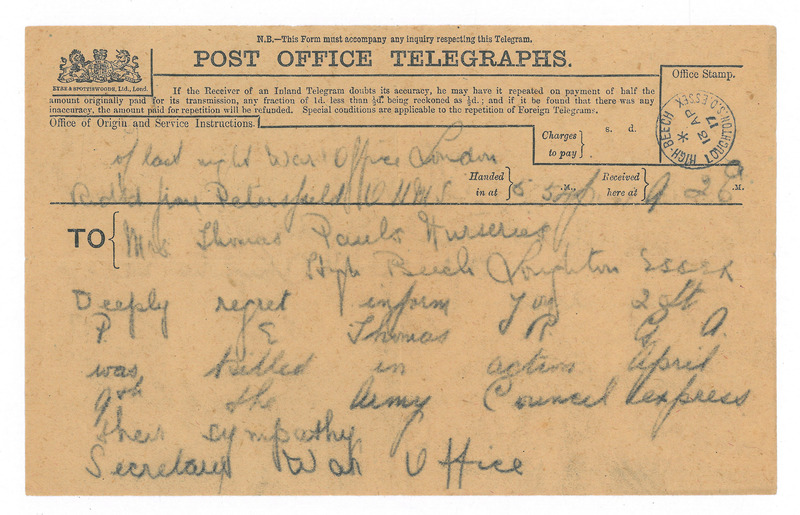 Telegram to Helen, notifying her of Edward’s death in combat. I think the rest of the group would agree how surprisingly evocative they found the experience, especially handling the telegram sent to Helen Thomas relating the news of her husband’s death, and reading the condolence letters sent to her by Edward’s comrades and friends. I think these documents produced a strong emotional reaction among the group, because holding correspondence of such a personal nature felt intrusive to some extent. It was possible to imagine the moment Helen received the telegram, and the devastation this would have caused her and their three children. The practical experience of working hands-on with the archive material and filming for the presentation made an invigorating change from the usual essay assessments, and the module was an excellent introduction to working in an archive. It also sparked a personal interest in Edward Thomas, drawing in all the elements of his life as a literary critic, a novelist, a poet, a soldier, and also as a husband and a father. I was able to delve further into his life and works by attending the Edward Thomas Centenary Conference that was held at Cardiff University in April 2017, hearing leading researchers of Edward Thomas speak, and meeting fellow fans of his work. On one of the days of the conference, I participated in a student panel hosted by Dr Carrie Smith, answering questions from the attendees about our experience of using the archive, handling the material, and producing a video presentation as an assessment, which was understandably identified as an unusual feature of an undergraduate module. 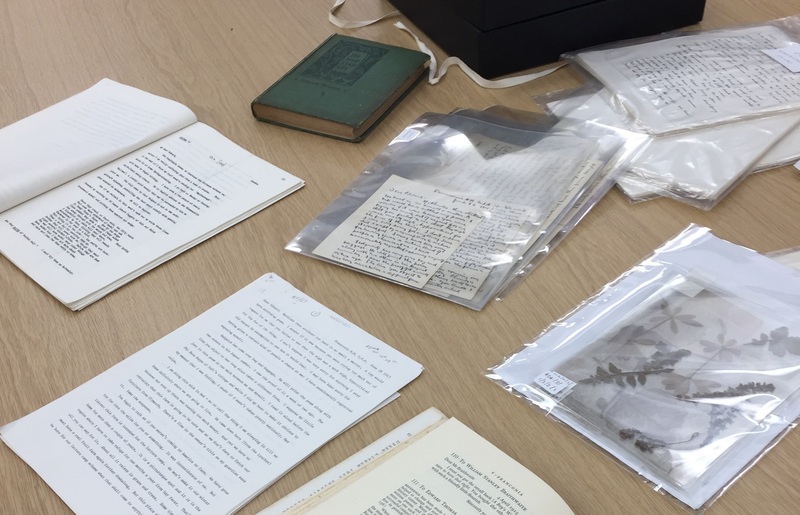 Special Collections also launched its Edward Thomas 100 exhibition to coincide with the Centenary Conference, and it was fantastic to see the collection showcased to the public in such a visually appealing and accessible way. Much respect to Alison for engineering such a wonderful display whilst also fending off frequent queries about the Edward Thomas archive from our course group as deadlines loomed! The exhibition is on display in Special Collections until October, for any of those who are inspired to come and have a gander. After being involved in the conference, I approached Alison to see if I could be of any assistance in volunteering my time to Special Collections over the summer. She proposed a project to digitise sections of the Edward Thomas archive. The plan was to focus on the photographs, poems, and letters held in the collection, which were used so heavily as an educational resource every Spring by Dr Carrie Smith’s Poetry in the Making group. Since July, I have been tasked with digitising, editing, uploading and organising images on a freely available online resource (Flickr), where they can be viewed and navigated through easily. The resource allows images to be downloaded for re-use at a variety of resolutions. Once uploaded to Flickr, I attach the full metadata to each image to assist with citations, add tags (so that images can be found by users searching keywords) and a location pin (if applicable). Finally, I group related images into albums for ease of navigation. I began by tackling the extensive collection of photographs, beginning with those solely of Edward Thomas, and then moving onto the wider family, including ones taken years after Edward’s death. It was necessary for me wear gloves to handle the photographs, (completing the stereotypical image of an archivist in style I might add), as the oils from the skin can easily damage the surface of the prints. Edward’s children (r-l): Bronwen, Myfanwy and Merfyn. It has been pleasing to see the Flickr account fill up with photographs of Edward, his wife Helen, and children Merfyn, Bronwen, and Myfanwy. The images really help to flesh out their lives outside of Edward’s publications and literary career. You get a sense of character through photographs that it can be difficult to find from a sheet of paper, no matter how personal someone’s handwriting can feel. 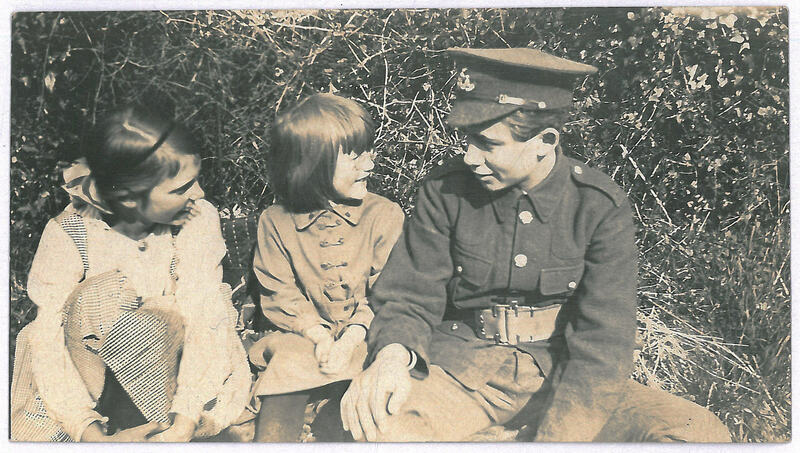 It was also enjoyable to see the progression of Edward and Helen’s three children growing up as the number of photos on the resource accumulated. I encountered one of the more challenging aspects of working with archival material when I moved onto digitising Edward’s poems. The manuscript poems held at Special Collections date between 1914-1917, and the pages are noticeably thinner and more delicate than other material in the archive. This is because paper quality severely declined during wartime, and its high acid content makes surviving material extremely friable. The availability of digital surrogates will help conserve these vulnerable originals. Letter from Edward to his daughter, Myfanwy, aged 6. Another extensive sequence of Edward Thomas’s correspondences held in Special Collections is between Edward and Helen Thomas (nee Noble). These letters run from 1897 (before their marriage), until Edward’s death in 1917. 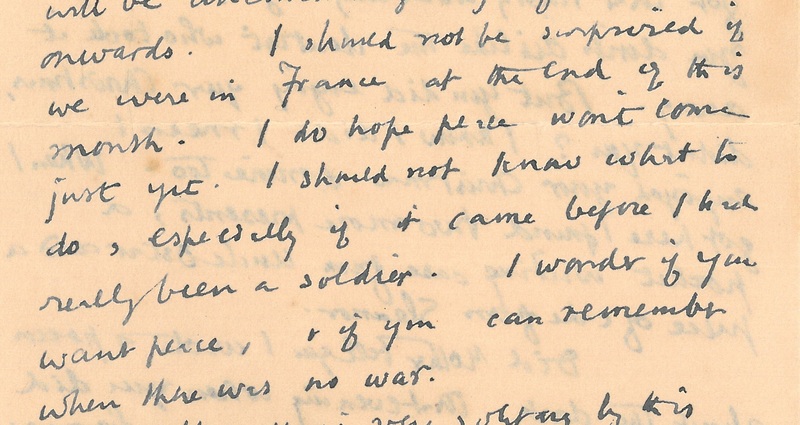 Of the hundreds of letters, I selected the last letters Edward wrote to Helen, and worked my way backwards. I thought this would provide a useful contrast to the early Bottomley letters, also identifying that the descriptions of Edward’s experiences in the army, and his subsequent posting to France, would be of great interest to researchers of Edward’s life. The letters Edward writes to Helen during the years he is studying at Lincoln College, Oxford (1898-1900), whilst Helen is at their family home in Kent, are interesting because they disclose the domestic side to Edward’s life. These letters may consist of comparatively mundane subject matter to researchers, as they consist of everyday conversations, mainly including practical matters and financial arrangements between the couple. However, much of the early correspondence resonated with me. One particular letter (25 May 1900, pp. 5-7) contains Edward’s dejection over getting a bad mark in a university module and worrying about disappointing his parents. 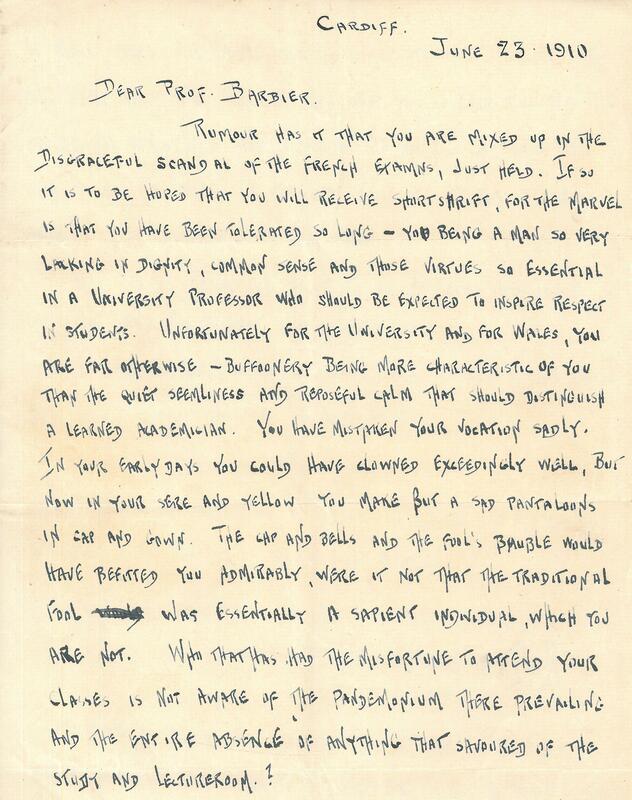 Letter from Edward to Helen, while a student at Oxford. Every student at some point has gone through the angst of being convinced they were going to fail a module. It’s reassuring that this was also the case for the last century’s students too. In creating this resource, I have become privy to so many more aspects of Edward Thomas’s life that I didn’t have time to appreciate during the seminar hours of Poetry in the Making. My hope is that this resource will allow future students on the module to spend time going through the collection at their own leisure, unrestrained by the archive’s opening hours or the limited number of seminars held in the archive. Having the images freely available to use on Flickr will reduce the number of times the documents will be handled each time a group needs to take a photograph, helping to conserve the originals. This will free up time during the seminars for the groups to discuss the content and argument of their presentations, and also guarantee high quality photographs for every group. For those rushing things last-minute, (as there inevitably will be), they will be able to check a reference number or a date quickly online, rather than having to pull out and go through all the boxes of material in search of one photograph or a letter they forgot to write down the catalogue number for! 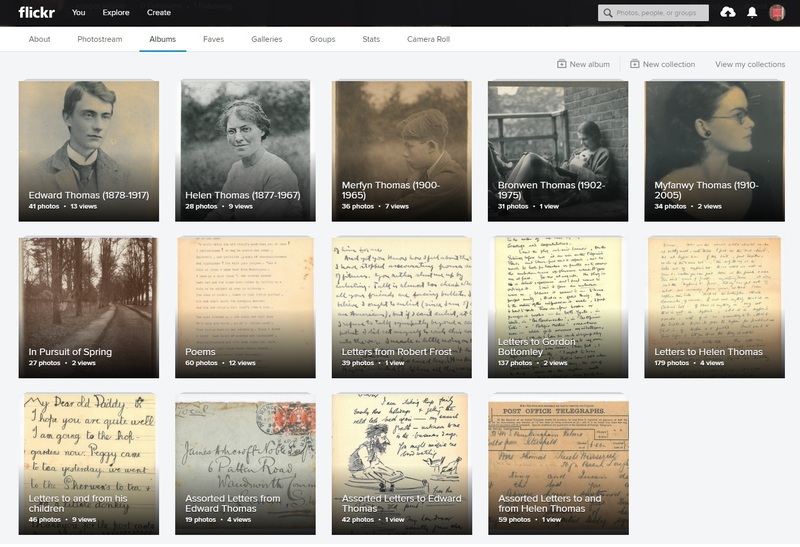 Beyond the University, now that a large chunk of the Edward Thomas archive has been digitised, researchers all over the world are able see images of the documents described by the archive catalogue, and can easily browse through the majority of the collection held here in Cardiff. This will be a major help to many, I hope, and aid them in their research. I’ve enjoyed my time in Special Collections very much over the final year of my degree here at Cardiff University, and I want to say a big thank you to the entire team at Special Collections for making me feel so welcome during this project. It’s been a pleasure to aid future users of the archive, and if you’re unfamiliar with Special Collections, I hope you will go for a visit after reading this! This guest post comes from Pip Bartlett, undergraduate in French and Italian in the School of Modern Languages at Cardiff University. 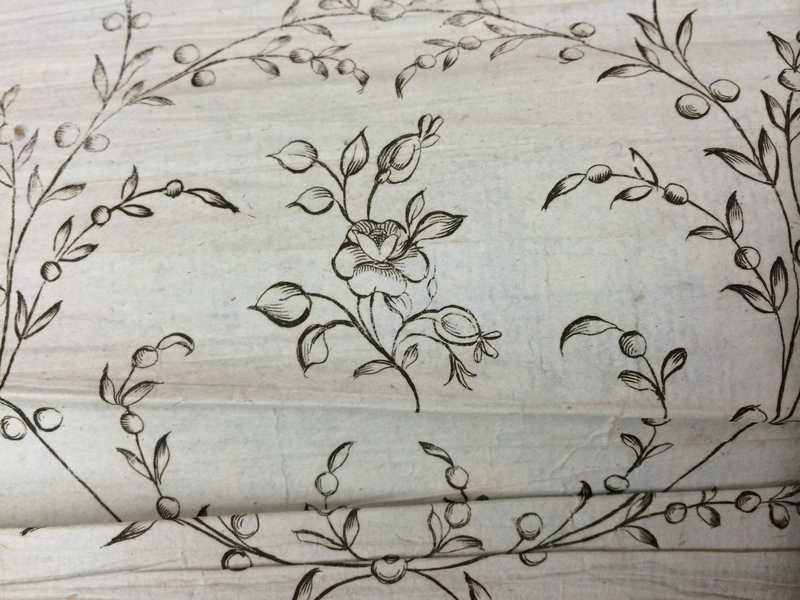 Pip is currently working on a CUROP project to catalogue the Barbier family archive. 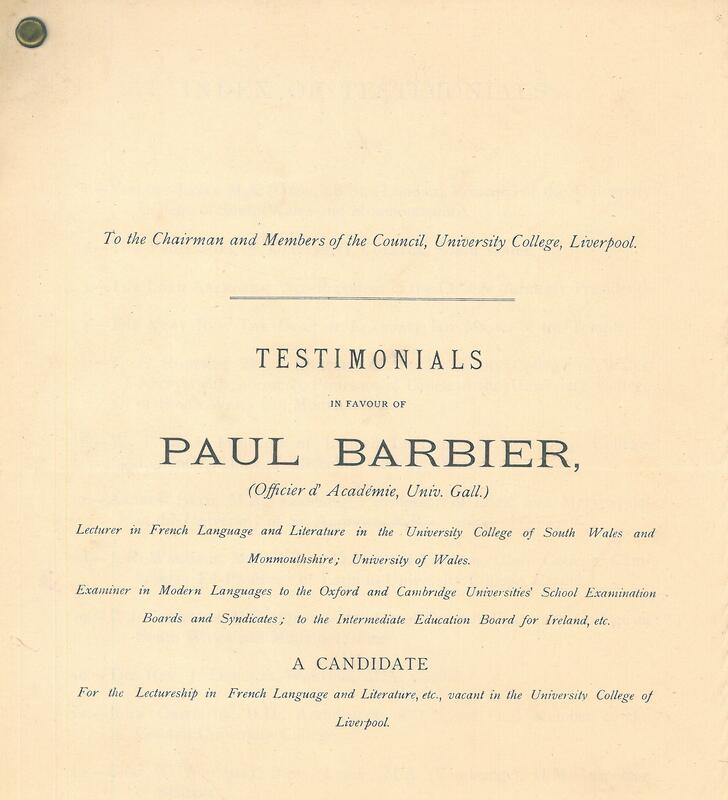 I have been very keen to discover more about Paul E E Barbier, one of the first Professors of French here at Cardiff University. However, because he seemed to do and achieve so much throughout his lifetime, I thought it best to split my posts up; one about his work with Cardiff University, and the other regarding his involvement within the wider Cardiff community. At first, I found it quite difficult to pinpoint specific details relating to Paul E E Barbier, as much of the archive, particularly those pertaining to the later years, seems dominated by material about his son, Paul E A Barbier (very confusing, I know). Although I am focusing on cataloguing letters, I found the wider archive useful when trying to piece together information about the elder Paul. This includes newspaper cuttings and various other documents which mention his name. The previous owner of the archive has compiled two booklets, one about Paul’s father Georges Barbier and the other about his wife, Euphémie Bornet. Although neither are specifically about Paul E E Barbier, they do contain some interesting information and help to give a contextual background. I have also found useful sources via Welsh Newspapers Online. Simply typing ‘Paul Barbier’ into the search bar reveals hundreds of results. Although some are irrelevant, a number of articles relate to Paul E E Barbier, some of which I have quoted in this post. Paul E E Barbier was born in 1846 in the Doubs Valley region of France, close to the Swiss border. His father, Georges Barbier, was a pastor of the protestant church. In 1862, the family moved to London where Georges became the pastor of the French Protestant Church in Soho Square. Whilst in London, the family took in young Swiss women, training to be governesses – this is how Paul met his future wife, the Swiss-born Euphémie Bornet. I am unsure how old they were when they met, but I did learn from the booklets that they were together for ten years before finally marrying in 1872. After their marriage, Paul became a French master at Felsted Grammar School in Essex and later moved to the famous Manchester Grammar School where he remained for 10 years. 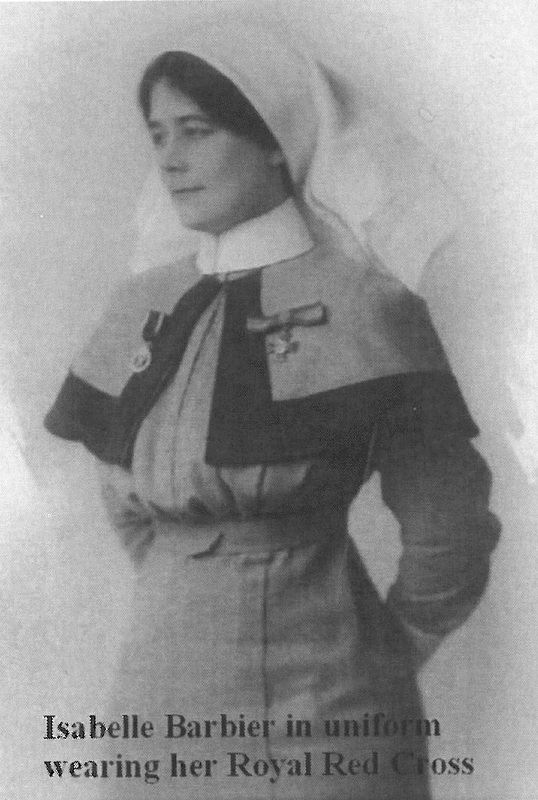 Euphémie also worked at a school in the area called Aubonne House School for Ladies. 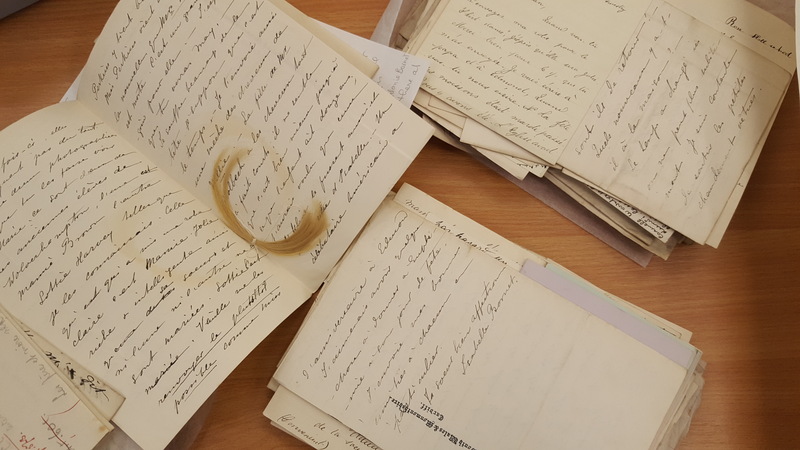 In some of the earlier sections of the archive, I have discovered many letters from Euphémie writing from Aubonne House to her parents and siblings. 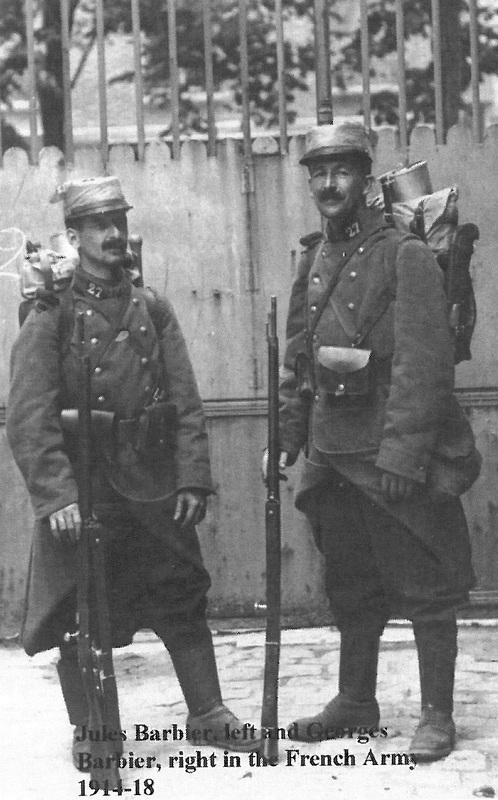 The couple had eight children who were raised speaking both French and English, evidence of which can be seen throughout their letters and correspondences in the archive. In 1883, Paul was appointed Lecturer of French at the newly opened University College of South Wales and Monmouthshire in Cardiff (now Cardiff University). The whole family moved to Cardiff and Paul set to work developing his department, later being promoted to Professor of French Language and Literature (I am unsure of the exact date). After moving around Cardiff (evident from changes to address in letters), Paul and Euphémie eventually settled at 21 Corbett Road, where they remained until Paul’s death in 1921. From what I have learnt from material in the archive, Paul Barbier was a valued and well-respected member of the university by both staff and pupils. One article I found from the Revue Mensuelle Galloise ‘Cymru’, March 1909 describes Professor Barbier as ‘a wonderful personality, uniting in himself gravity and humour to an extraordinary degree […] He can keep his classes laughing throughout his lectures if he thinks fit to do so; and can again, when he pleases, bring them to verge of weeping’. An obituary from French publication ‘Chronique de Londres’ (1st October 1921) says, ‘Barbier était d’une nature enthousiaste et d’une extrême générosité de coeur; aussi jouissait-il d’une popularité peu commune, et ce sont des milliers d’étudiants qui apprendront sa mort avec une réelle tristesse’ (translation: ‘Barbier was a man of enthusiastic nature and extreme generosity; he had an unusual popularity and thousands of students will be met with real sadness after learning of his death’). Not only did Paul Barbier teach, but he also examined. The same obituary states that Paul Barbier was examiner in chief for every university in Wales, as well as the universities of London, Dublin, Oxford and Cambridge. An article from the Evening Express (5 January 1906) entitled ‘Honour for Professor Paul Barbier’ regards his appointment as examiner in French for the University of Cambridge as ‘a great distinction’. 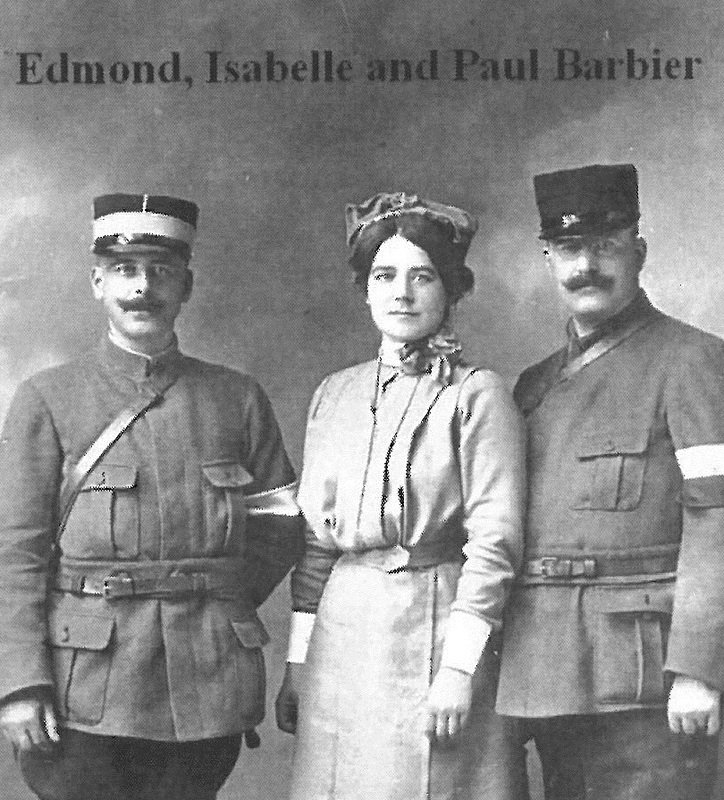 Despite living in Cardiff for most of his life, Paul E E Barbier retained his French roots and seemed to be in contact with many different people in France. He and his wife regularly made visits to Paris with his students, evidence of which can be found in letters to their children back home written during these trips. In March 1905, it was announced that the University of France would be awarding Paul Barbier with the highest academic distinction, that is, the diploma of Officer of Public Instruction (le diplôme de l’Officier d’instruction publique). An article in the Evening Express dated 14 March 1905 illustrates the award ceremony held at the University of South Wales and Monmouthshire. It describes Professor Barbier being given the award with ‘the accompaniment of enthusiastic cheers from the large company of students’. It would seem that regardless of how popular and valued someone is, they are always going to have enemies! I also found a letter from Paul E E Barbier to one of his children (the exact one is unknown) dated 26th September 1895. In French, he tells the recipient to be more careful with their grammar having read a letter to their mother in which there were many mistakes with the subjunctive mood! It is evident that Paul E E Barbier was an esteemed member of University staff, valued by both his colleagues and students. He was a known name not only in Wales, but throughout the whole of the United Kingdom, with his efforts also being recognised and awarded by institutions in France. It has been fascinating to research more about his work with the University, and I hope that my next blog post will share more light on his involvement within the wider Cardiff community. 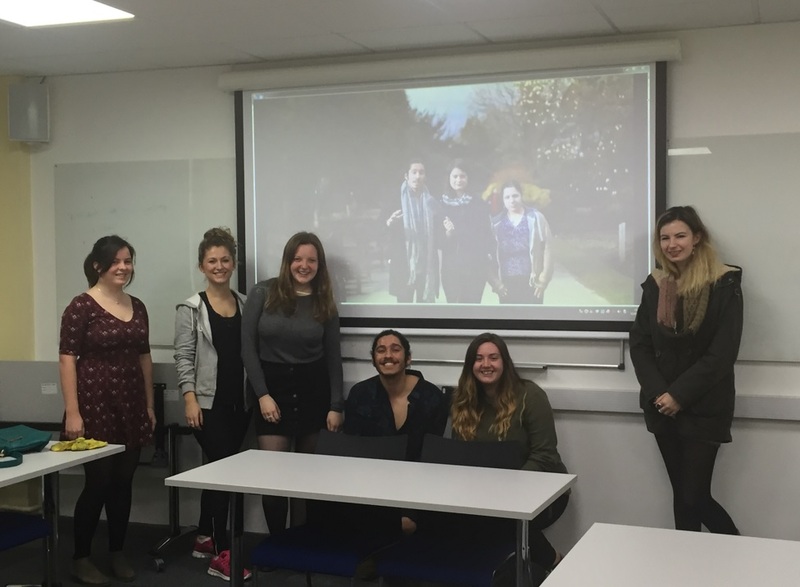 This guest post comes from Sarah Murray, a final year English Literature undergraduate. Sarah recently worked on a project in Special Collections as part of the Poetry in the Making module led by Dr Carrie Smith. The students were tasked with exploring the Edward Thomas archive, to find items to inspire short films. These would present arguments about Thomas’ life and work, with reference to primary sources. An extract from one of the films is featured below. During our first visit to Special Collections, we worked closely with archivist, Alison Harvey, who collected a huge range of material from manuscripts of poems to Thomas’ personal diaries, to flower cuttings, to personal items, such as his clay pipes. We were able to spend time looking through this material, and quickly realised that the diversity of materials the archive has to offer meant that there was a huge scope for creativity in the upcoming project. Manuscripts, transcripts, diaries and flower cuttings – a typical scene at our table. My group was struck by the regular communication between Edward Thomas and fellow poet Robert Frost, and decided to concentrate on the profound impact Frost had on Thomas’ birth as a poet. 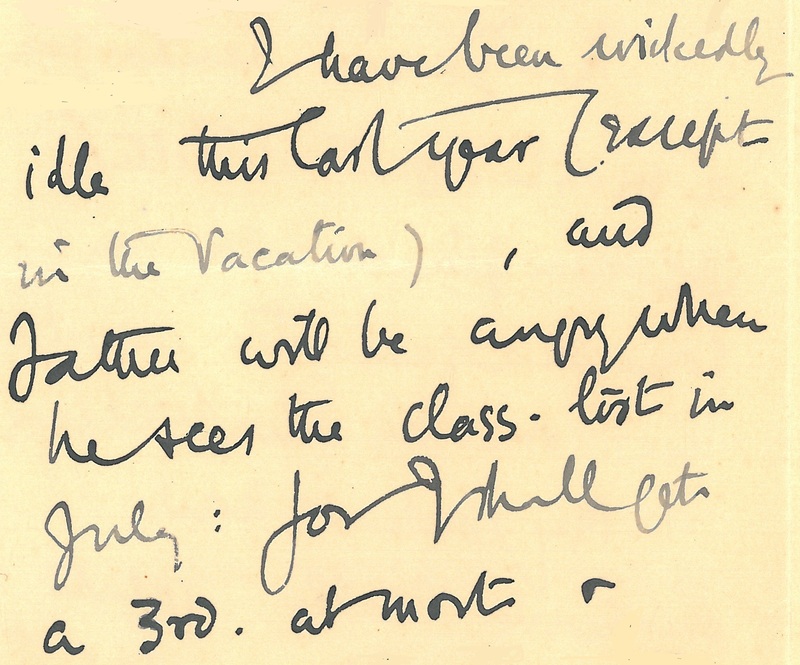 Armed with more material than it was possible to process, we visited the archive regularly, pouring over the correspondence between Thomas and Frost. After much research, constructing our arguments and a lot of video editing, the four groups in our class each created and submitted a ten minute film as part of the module assessment and it was surprising how different each one was. Almost as if we had sat down and allocated different approaches to take. Uniquely, the work we produced was showcased to the English Literature department. Although slightly embarrassing to watch and listen to ourselves on the big screen (there was a lot of face covering and even a quick exit), the opportunity to share our videos with members of the department who were interested and surprised by the originality of our arguments, made the project seem incredibly worthwhile. For me, the experience was eye opening as it provided us with the thought processes and concerns that preceded the published versions of Thomas’ eloquent poetry. I hadn’t really considered the apprehension that a poet may experience when writing, perhaps having been consumed by the Romantic idea that inspiration for a complete product is found while sitting peacefully at the top of a hill. The ability to immerse ourselves in the material that led to the publication of Thomas’ poetry enabled us to understand the man and consequently, the poet and his poetry in a deeper sense. All in all, this project was definitely more challenging than anything else I have been required to do as part of my degree and was a welcome change to the thousands of words of essay I have written across nearly three years of reading English Literature. I greatly enjoyed the time we spent in Special Collections. Cardiff University is very lucky to have such a rich collection of historical and literary archives and the opportunity to make use of this material enriched my knowledge of a subject I am passionate about. Finally, I am very grateful to Carrie for providing us with this new and exciting academic opportunity and to Alison for her time and commitment to supporting us throughout the project. This guest post comes from Felicity Holmes-Mackie. A graduate of Cardiff University, Felicity has been working as a research assistant for Dr Jane Moore School of English, Communication and Philosophy on a CUROP (Cardiff Undergraduate Research Opportunities Programme) project using ladies’ periodicals held in Special Collections and Archives. Posters from all the Arts, Humanities and Social Sciences CUROP projects undertaken this year will be exhibited later this week on Friday 16th October in the Viriamu Jones Gallery in Main Building between 12.00-13.30. During my undergraduate degree at Cardiff I have been fortunate enough to enrol on several modules taught in conjunction with Special Collections and Archives. Having been exposed to the wonderland of exciting resources nestled underneath the Arts and Social Studies Library, I naturally leapt at the chance to embark upon a research project based there during summer 2015. Now, thanks to a project led by Dr Jane Moore and supported by the Cardiff Undergraduate Research Opportunities Programme (CUROP), I have spent a summer picking my way through the moveable shelving and examining the treasures I discovered. periodicals. The main publications I have focussed on are The Lady’s Magazine, La Belle Assemblée, and The Ladies’ Monthly Museum, which feature a wide range of articles. These include serialised prose fiction, illustrated biographies, recipes for medicines, word puzzles, and needlework patterns. They were generally aimed at upper class ladies and contain work written by both male and female contributors, who were often unpaid. The most interesting discoveries of the project were undoubtedly those found in the fashion descriptions which feature in all three publications. Each magazine had a slightly different approach to reporting on the latest fashions; while some articles aim to inspire with vivid descriptions, others dictate what the reader should or should not be wearing according to the tastes that month. 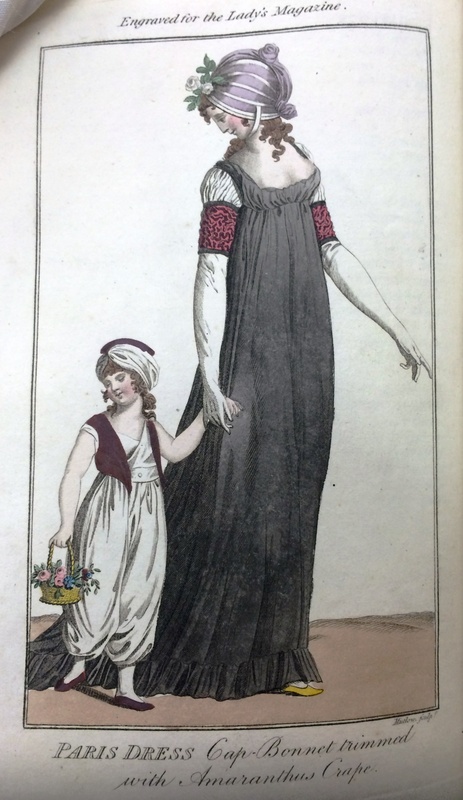 La Belle Assemblée outlines upcoming fashions, whereas The Ladies’ Monthly Museum describes fashions of the past month in its regular feature ‘The Mirror for Fashion’. The Lady’s Magazine includes similar monthly features, but twice a year it also provides vivid and detailed descriptions of the court dresses worn on royal birthdays. In these pieces, each lady’s outfit is described and judged in terms of taste; sometimes the line between gossip and fashion description becomes somewhat blurred! These fashion articles can seem repetitive and uninteresting, perhaps something to skim quickly before finding the next instalment of a gripping serialised novel or the next letter in a stream of huffy correspondence. However, delving into these articles reveals an arsenal of technical language and a veritable rainbow of descriptive vocabulary. One of the highlights of the project has undoubtedly been the rich, varied, and occasionally eccentric colour vocabulary which features in all the publications to some degree. From pigeon’s breast to faded dove, marshmallow-blossom to date-leaf, ponceau to ethereal blue, the ‘fashionable colours for the month’ are rich, varied, and occasionally eccentric. 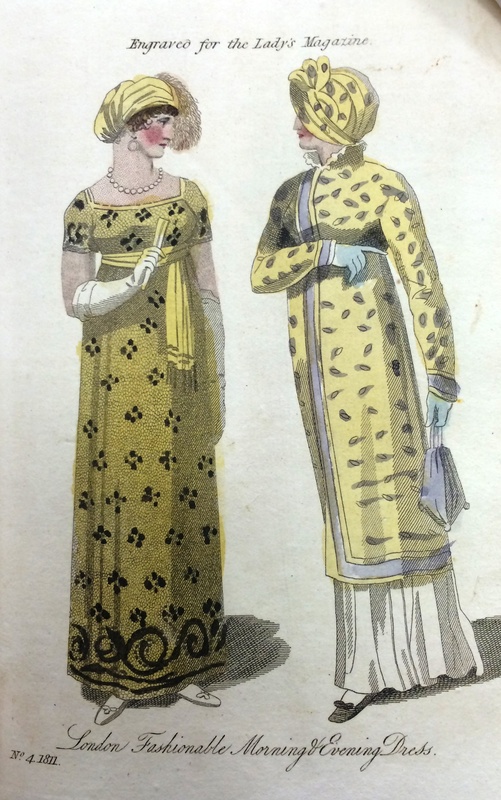 The coloured fashion plates too, are a real treat. 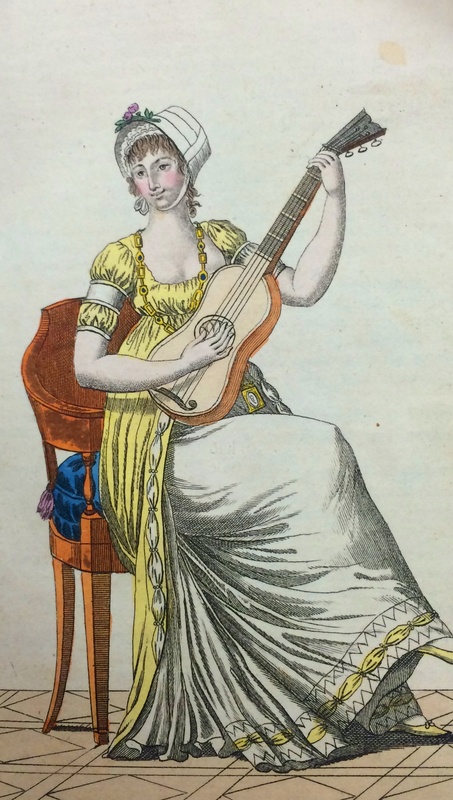 The majority of plates show ladies sitting or standing in ways which will show off their outfits, but some also show ladies dancing, at the beach, playing musical instruments, or picking flowers. In some months hat fashions go into overdrive and resemble crowns, large turban-style wraps, or even Roman helmets. These fashion articles and plates are certainly more stimulating and imaginative than they might first appear. Not only did the colour vocabularies surprise me but the technical descriptions of the dresses offered an insight into thinking about outfits and dress which was peculiar to the period and is far-removed from the way we think about style today. 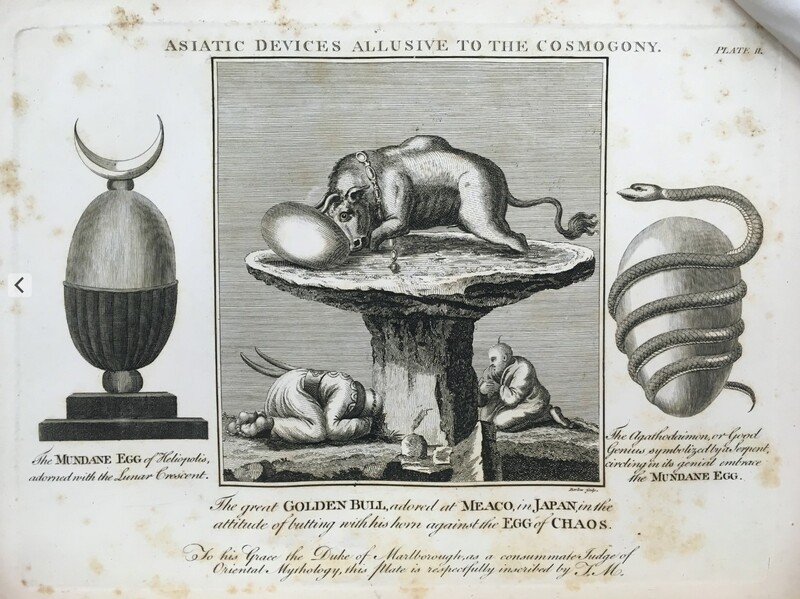 The periodicals generally offered a range of unexpected and fascinating articles and illustrations and I certainly feel lucky to have familiarised myself with them. This guest post comes from Bethan Morgan, undergraduate in the School of Welsh, on her CUROP (Cardiff Undergraduate Research Opportunities Programme) project. Bethan has been working with Dr Siwan Rosser to create a bibliographic database of Welsh-language children’s books published before 1900. 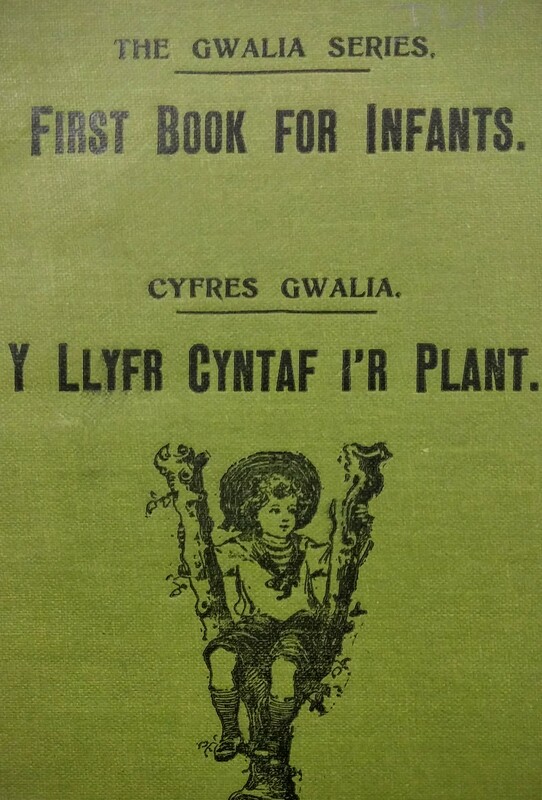 Building on last year’s successful CUROP project to create a database of 19th-century periodicals for children, this project seeks to create a new resource for enhanced research on the history of children’s publishing in Wales. At present, no bibliography exists for pre-1900 publications, and library catalogue descriptions are often incomplete and inconsistent, impeding investigations into this important aspect of cultural history. The project involved searching the University Library’s extensive Special Collections, as well as information from the on-line catalogue of the National Library of Wales, and amassing (through EndNote) relevant bibliographic material. The books were sorted into different categories within EndNote according to their genres, e.g. poetry, music, stories, textbooks, prayer books, and sermons. The resulting database, incorporating the previous CUROP periodical database, will be published online after the project, to be used in research and teaching here and to advance the study of this topic in general. It will also be an invaluable resource for Siwan Rosser during her 2015-16 Research Leave to produce a monograph on Welsh children’s literature. Furthermore, this database will lead to a joint project with Special Collections and Archives to create an online collection of early children’s books, as part of our programme to digitise library and archives to support research and teaching. View Bethan’s post in full on Siwan Rosser’s Llenyddiaeth Plant blog.